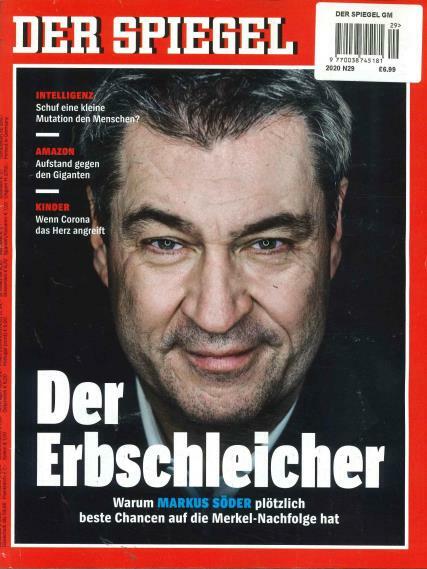 DER SPIEGEL (“The Mirror”) is a German current affairs magazine which is comparable to the British magazine The Economist and the American news magazine Times. Buy a single copy or subscription to Der Spiegel magazine. It is a long running magazine dating back to 1947 with the magazine rising in popularity ever since. It has built up a tremendous following with average weekly sales of 1.1 million, copies in 172 countries and articles winning literature awards such as the prestigious Egon Erwin Kisch award. Sections of the magazine include; the cover story, Germany, the media, the economy, the society, international, sport, science/technology and culture. There is also a “letters” section where readers’ letters are published as well as a section for just about anything you can think of. It is the perfect sized, portable magazine. A great round-up of information for a weekly magazine. always find interesting articles which help expand my german language. Plenty of short articles. bought this for my husband who always find it interesting. Can pick up and it keeps me up to date with affairs in Germany. It has short but interesting articles,I am learning German so trying to read this is challenging and successful,A wide range of articles to please a wide range of people.